Nourished by the artists’ observation and their professional experience in the galaxy of art galleries and cultural institutions, the works gathered in Déformation Professionnelle represent various digressions on the art world, shapes and materials, with a particular focus on the production and installation of the works of art and the gallery maintenance. 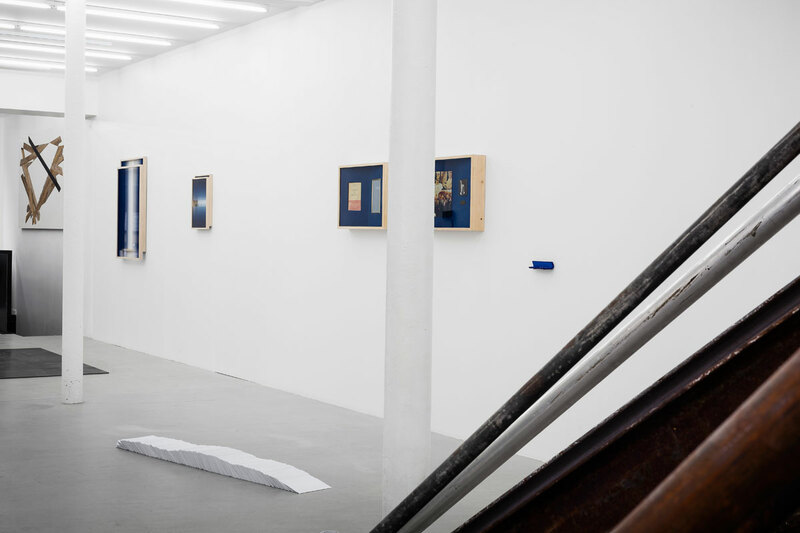 Their practice highlights a specific vocabulary and a set of materials usually invisible to viewers, carefully kept in a storage room, cleared during the final check before the public opening, or belonging to the intimacy of the artist’s studio. 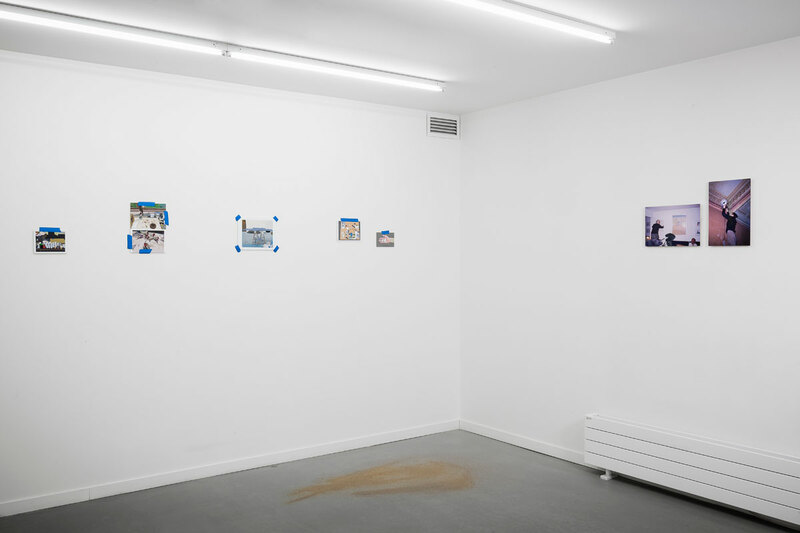 Several works refer directly to tools and other heterogeneous elements used by art handlers in charge of physically installing and dismantling exhibitions: foam edge protectors, moveable walls, rolls of tape, hanging and packaging devices, traces of paint or plaster become the main subject of their practice. 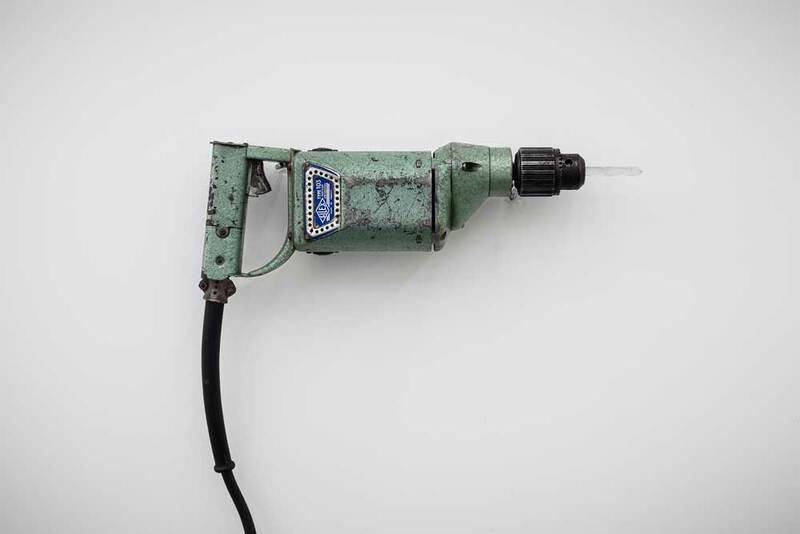 Playing with the nature and appearance of such familiar objects, the artists transform them in independent works of art. Often “cast against type”, the objetcs are deprived of their inner function to find a new meaning in absurd structures. 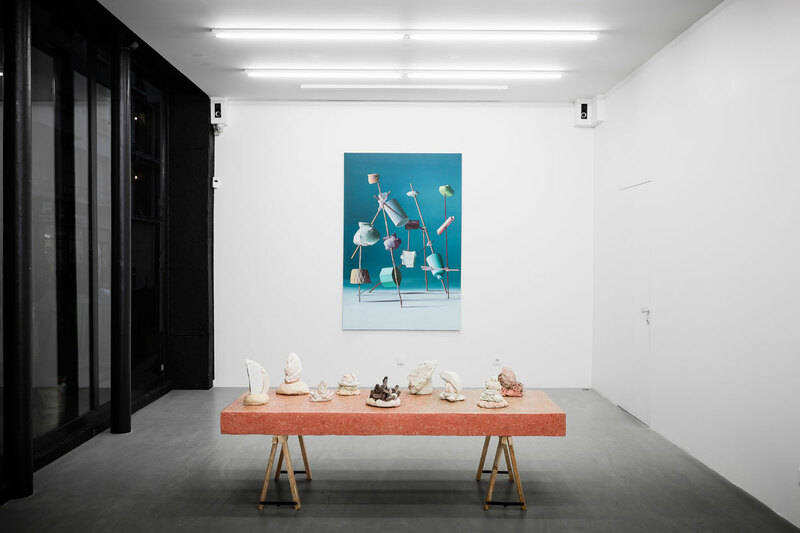 Such as Simon Nicaise’s nailed nails, Elodie Huet’s sticked glue sticks, Roeland Tweelinckx’s ceiling-supporting shelves, Sébastien Wickeroth’s smashed walls or Gabriel Leger’ s crystal drill bit. 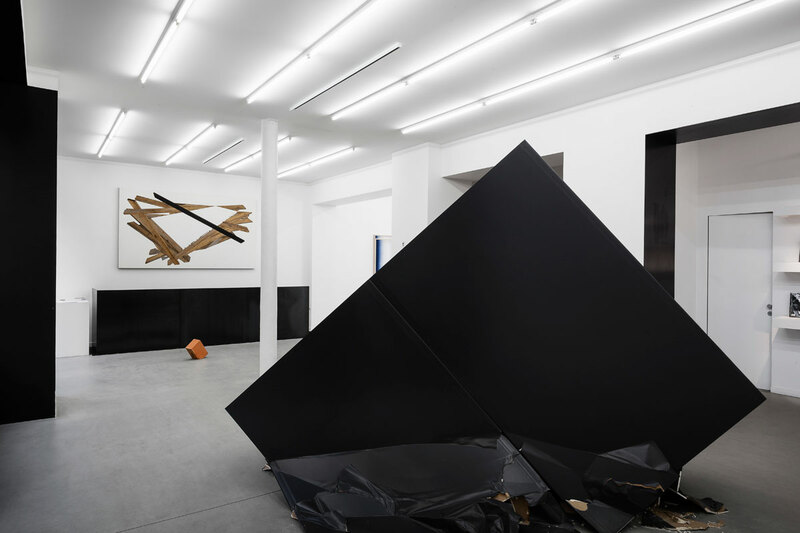 Their installations and “formal exercises” are all related to a particular interest in scraps and packaging materials intended to protect artworks from damage while in transit and yet able to reveal an architectonic prowess, a trompe-l’oeil or a well-modulated poetic strategy. 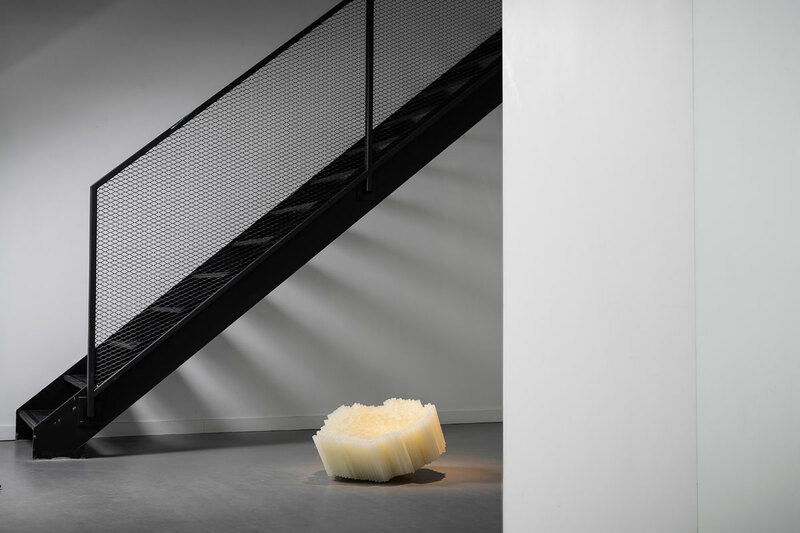 Whether spectacular or microscopic, their interventions are based on these adaptable elements and despite the difference in scale they all have in common the same quest for perfection with a subtle mise en scène.Claude Cattelain’s apparently instable frameworks show the artist’s perfect mastery of gravity. Alexandre Lavet ‘s white stains on the floor are not an outcome of some negligence but they are actually tiny drops made of fine porcelain. Benjamin Sabatier’s rolls of adhesive tape are meticulously superposed to create never-ending towers. We can find a similar purpose in Maude Maris’s mysterious painting, half-way between landscape and still life, inspired by plaster moldings –suggesting a universe of emerging forms, ready to come alive – as well as in Justine Bougerol’s extended space. 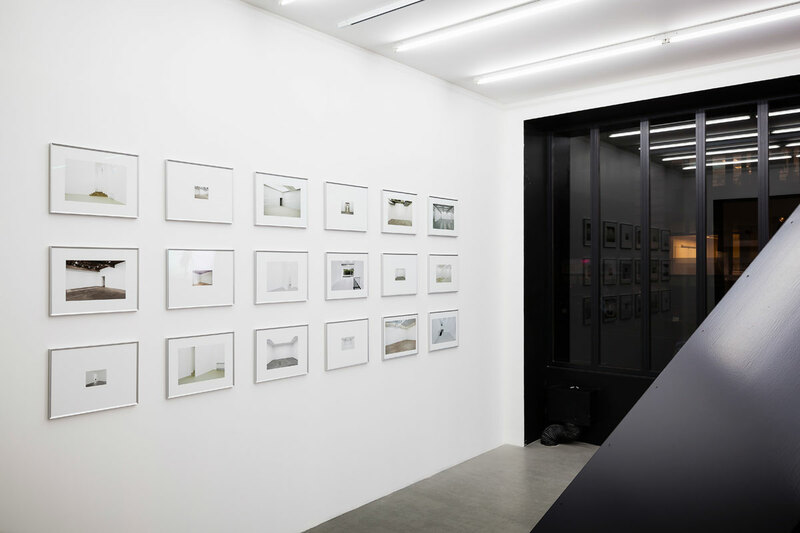 The same silent expectation seems to resonate in Alexandre Lavet’s photographs of emptied galleries – which simulate how the gallery is perceived by handlers just before and after the exhibition. A similar tension is tangible in Morgan Fourey’s desks or Mathias Tujague’s perfect display, evoking the methodical organization of a workbench. 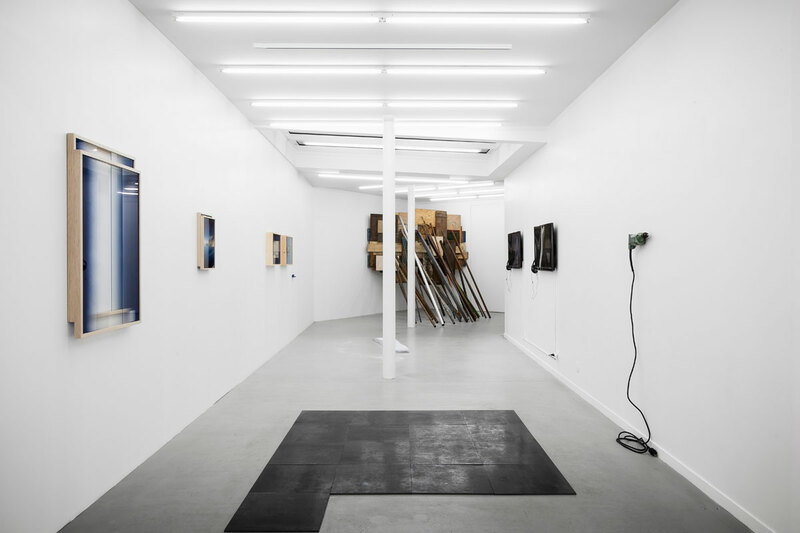 Between self-portrait and accumulations, some installations underline the analogy between the artist and the craftsman; other works reveal the connection between the artist and the technical engineer, just like the unit manipulations and the graphic constructions of sculptor Félix Pinquier. 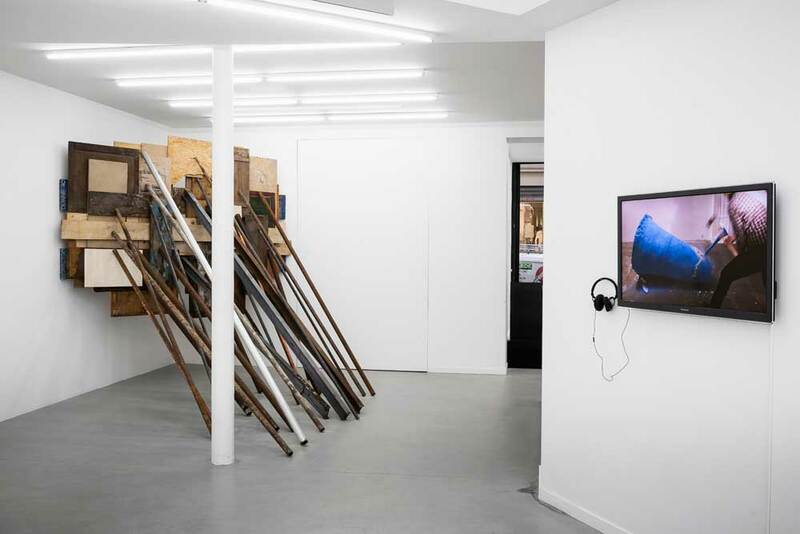 It’s a world of controlled appearances whose brutality and savagery are clearly demonstrated in Jerome Cavaliere and Stéphane Déplan’s hilarious videos. Brice Raphalen’s work, made of discarded neon lights coming from an old installation by François Morellet or New York-based artist Michael Zelehoski’s assemblages, inspired by Sol Lewitt’s patterns allude to the art reference system, its unequivocal signs and its mechanisms of reappropriation and détournement, sometimes close to Fetishism. Apart from artistic rivalries, Dieudonné Cartier’s work reminds of the irruption of real wars, old compromises and arrangements, with his reference to the Jacques Chirac “donation” to the Bamako Museum of a stolen statuette which was previously given to him as present. 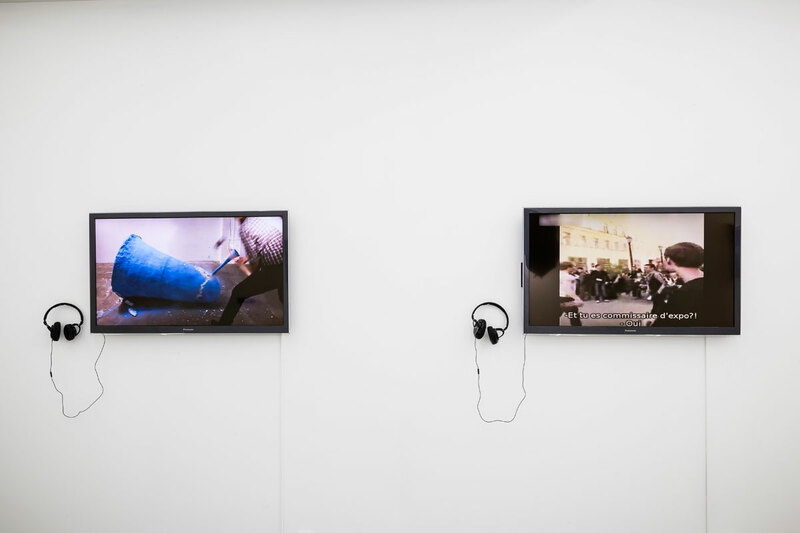 Or President Vertut’s video meticulously modeled on archive images witnessing the destruction of the works of the Mosul Museum by the henchmen of the Islamic State, here replaced by hipsters fanatics, ransacking a contemporary art exhibition.